We are offering premium quality fine sand which is a naturally occurring granular material composed of finely divided rock and mineral particles. 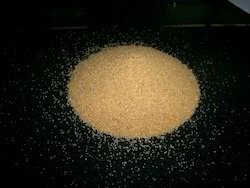 When using sand as a filter media two important factors play a role; sand grain size and sand bed depth. Both have important effects on bacteriological and physical water quality. With our expertise and trustworthiness, we are engaged in offering an optimum quality range of Concrete Sand. It is widely used for epoxy base coat and epoxy self leveling system as a pillar. Our organization is indulged in offering Frac Sand for Oil & Gas exploration, all sizes available, hardness >7 mhos, roundness >0.6, colour grey to white, other details on hearing from you. We are supplier of River Sand, we can provide sand as per your requirement. Widely used in Dolestic and Architectural use. Best for Interior and Exterior wall decoration, Sand Art, Sand murals, Play sand Rangoli and Handicraft. Available is two different size to suit your specific application. Construction Grade Silica White Sand Available. Total Legal Documentation for Inventory requirements. - Packing: As per costumer requirement. We Supply Indian Standard Sand as per B.I.S. approval to various cement factories, research laboratories etc. for testing the quality of cement. 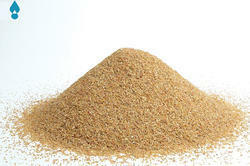 The processed sand is marketed in various grades.